South Africa remains one of the major trading partners of Botswana. In 2015, South Africa's total bilateral trade with Botswana stood at R 57,97 billion. 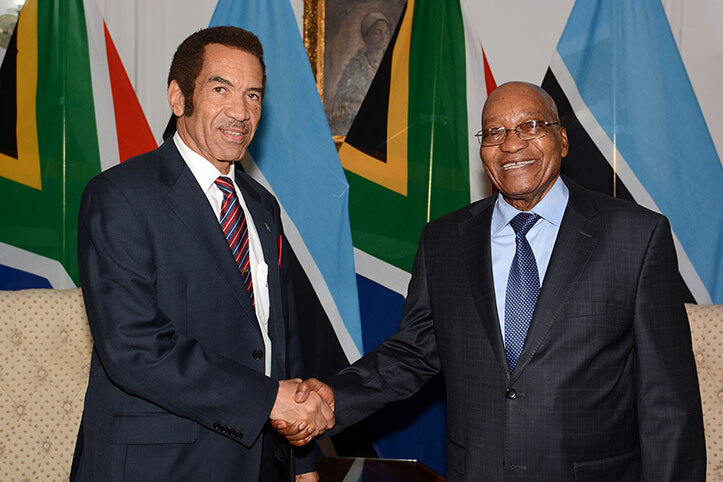 On 11 November, South Africa and Botswana deepened their economic cooperation as President Jacob Zuma hosted his Botswana counterpart, President Lt General Seretse Khama Ian Khama, on the occasion of the Third Session of the Botswana-South Africa Bi-National Commission (BNC) in Pretoria. South Africa and Botswana cooperate in a variety of areas, including among others, transport, trade and investment, health, education, environmental issues, water, science and technology, agriculture, justice, immigration, energy, finance, culture, security and sport. There is a large presence of South African companies in Botswana, which are involved in various sectors such as housing, food and beverages, construction, retail, hotels and leisure, banking, medical services, etc. These companies continue to contribute to the growth and development of the Botswana economy. The South African delegation to the BNC comprised Maite Nkoana-Mashabane, Minister of International Relations and Cooperation; Nosiviwe Mapisa-Nqakula, Minister of Defence and Military Veterans; Naledi Pandor, Minister of Science and Technology; Rob Davies, Minister of Trade and Industry; Minister of Energy, Tina Joemat-Pettersson; Dipuo Peters, Minister of Transport; Nomvula Mokonyane, Minister of Water and Sanitation; and Senzeni Zokwana, Minister of Agriculture, Forestry and Fisheries. The GEW is dedicated to inspire millions of people from over 160 countries through local, national and global activities designed to help them unleash their potential as entrepreneurs and innovators. On 11 November, Deputy President Cyril Ramaphosa delivered a keynote address at the official launch of the 2016 South African Chapter of the Global Entrepreneurship Week (GEW2016), at the Industrial Development Corporation Campus, Sandton, Johannesburg. This is the largest gathering of innovators and entrepreneurs, who launch start-ups that bring ideas to life, drive economic growth and stimulate socio-economic development. This year's launch of the GEW was part of a build-up programme towards the hosting by South Africa in March 2017 of the Global Entrepreneurship Congress. This will be the first time the congress will be hosted on the African continent, and is expected to attract over 5 000 delegates from across the world. Deputy President Ramaphosa was supported during the launch of the South African Chapter of the GEW by Small Business Development Minister, Lindiwe Zulu; Gauteng Premier, David Makhura; Tourism Deputy Minister, Tokozile Xasa; and the GEW President, Jonathan Ortmans. The Minister of International Relations and Cooperation, Maite Nkoana-Mashabane, undertook a Working Visit to Munich, Bavaria, on 14 to 15 November 2016, before proceeding to Berlin to co-chair the Ninth South Africa-Germany Bi-National Commission. The Working Visit to the Free State of Bavaria (Bavaria) provided an opportunity to further promote South Africa as a trade and investment destination of choice to Bavarian business. During her stay in Munich, the Minister met with high-level businesspeople as well as the Bavarian Minister of European Affairs and Regional Relations, Dr Beate Merk. Bavaria is the largest of the 16 federal states in Germany. It is a strategic economic hub and the second-wealthiest region in Germany, with the state’s gross domestic product amounting to €549,2 billion in 2015, meaning that Bavaria surpasses 19 of the 28 European Union countries’ economies. The Bavarian economic output per resident is above the German and European averages, making Bavaria one of the markets with the highest levels of purchasing power in the world. As a region, Bavaria is one of South Africa’s big trading partners. Bavaria is the headquarters of multinational corporations such as BMW, AUDI, Adidas, Puma, Siemens, Munich Re, Allianz, Bosch Global Security, Kuka and MAN. The total volume of trade in 2015 between Bavaria and South Africa was €1,6 billion. In 2015, imports from South Africa to Bavaria were €461 million (an increase of 4,4% in comparison to 2014), while exports were €1,1 billion, an increase of 1, 5%. BMW invested R6 billion in South Africa in 2015 after awarding a contract to its plant in Pretoria for the production of the new-generation BMW modest cars (X3) for the domestic and export markets. 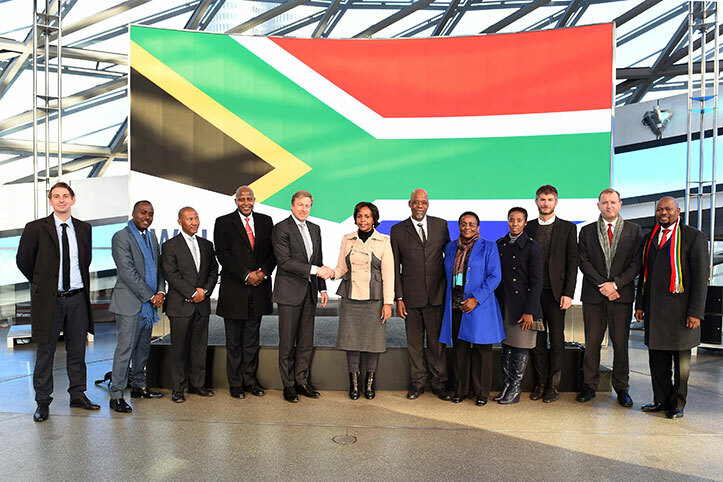 Other significant partnerships between South Africa and Bavaria include the signing of the Sister Airports Agreement between Airports Company South Africa and Munich Airport Group, wherein both partners have jointly agreed on areas of strategic cooperation and information sharing. The partnership is Bavaria’s first agreement with an airport operator on the African continent. COP22 takes place only days after the Paris Agreement on climate change, adopted at COP21 in Paris, France, in December 2015, entered into force on 4 November 2016. The Minister of Environmental Affairs, Edna Molewa, led the South African delegation at the High-Level Segment of the 22nd Conference of Parties (COP22) to the United Nations Framework Convention on Climate Change (UNFCCC) in Marrakech, Morocco, from 12 to 18 November 2016. Marrakech was a turning point in the international climate action, as this was the first meeting of the parties to the Paris Agreement since its adoption and entering into force. The Marrakech climate change negotiations also marked the first meeting of the Paris Agreement’s governing body, the Conference of the Parties serving as the Meeting of the Parties to the Paris Agreement (CMA1). The CMA meeting took place in Marrakech in conjunction with COP22 and CMP12 (the Conference of the Parties serving as the Meeting of the Parties to the Kyoto Protocol) from 7 to 18 November 2016. The Paris Agreement entered into force on 4 November 2016, 30 days after the date on which at least five parties to the convention, accounting for an estimated 55% of the total global greenhouse gas emissions, have deposited their instruments of ratification with the United Nations Secretary-General. This is ahead of the scheduled implementation of the agreement by 2020. South Africa ratified the Paris Agreement on 2 November 2016. 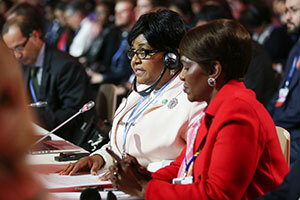 The South African-led Durban international climate change talks in 2011 marked the beginning of the four-year negotiating process that culminated in the Paris Agreement. South Africa played a leading role at COP 21 in Paris, as the Chair of the Group of 77 and China, a group of 134 developing countries that are worst affected by climate change. South Africa was also the lead negotiator for the African Group as well as a member of the Brazil, South Africa, India and China configuration. The Minister of Telecommunications and Postal Services led the South African delegation to the Second Brazil, Russia, India, China and South Africa (BRICS) Information and Communications Technology (ICT) Ministers Meeting that took place in Bengaluru from 10 to 11 November 2016. The meeting took forward the commitments made by the leaders of BRICS countries on matters relating to ICT. 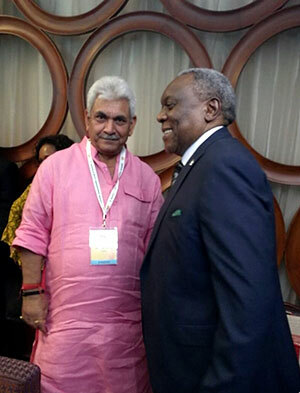 Minister Cwele had bilateral meetings with his counterparts from India, Brazil, Russia and China and the Deputy Secretary-General of the International Telecommunication Union. The ministers committed to cooperating in areas that include research and innovation, technology transfer, innovation, electronic manufacturing and skills training. The South African delegation included leaders of ICT state-owned enterprises, the private sector and industry associations. "We have before us the opportunity to strengthen the functioning of our BRICS union and build a more integrated, innovative, and vibrant ICT network that is truly able to meet the needs our people. South Africa is open to do business with BRICS countries and I hope that in the next two days, we will forge new partnerships, especially collaboration among our small medium and micro enterprises," said Minister Cwele. He said South Africa was among the top 20 countries globally on investment in infrastructure. The ministers said BRICS countries accounted for about 43% of the world's population and about 40% of global mobile connections. But, these countries don't feature in the top 30 countries in terms of innovation. 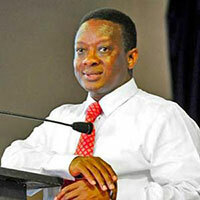 "We see the ICTs as the cornerstone of socio-economic development. Our government’s blueprint document: the National Development Plan, recognises the ICTs as key catalyst for inclusive growth and for reducing spatial exclusion, enabling seamless participation by the majority in the global ICT system, and creating platforms for emerging players as black industrialists, content developers and application innovators," said Minister Cwele. While Deputy Minister Mfeketo has visited Kazakhstan previously, it was the first visit by a South African Deputy Minister of International Relations and Cooperation to Turkmenistan since the establishment of diplomatic relations in 1992. The Deputy Minister of International Relations and Cooperation, Nomaindiya Mfeketo, paid an Official Visit to two central Asian countries: Kazakhstan, from 9 to 13 November 2016, and Turkmenistan from 14 to 15 November 2016. Deputy Minister Mfeketo’s first stop on her Central Asian tour was Astana, capital city of Kazakhstan. The visit to the Central Asian country, which also included a brief stop-over in Almaty, the commercial hub of Kazakhstan, was aimed at strengthening bilateral and economic relations between South Africa and Kazakhstan. During the visit, Deputy Minister Mfeketo co-chaired the fifth round of the South Africa-Kazakhstan Bilateral Political Consultations with Akylbek Kamaldinov, Deputy Minister of Foreign Affairs of Kazakhstan. South Africa’s main objectives with the bilateral consultations were to strengthen bilateral political and economic relations, by intensifying cooperation in trade and investment and supporting the expansion of cultural and people-to-people interaction between the two countries. Deputy Minister Mfeketo, who was accompanied by delegations from the departments of trade and industry and science and technology, also had high-level meetings with business sector representatives and academia to promote South Africa as a destination for trade, investment and tourism and to explore future academic cooperation and skills exchange. Kazakhstan has a significant multilateral profile and will on 1 January 2017, become the first Central Asian state that will take up a non-permanent seat on the United Nations Security Council (UNSC). With this in mind, the Deputy Minister’s visit was viewed by both countries as an opportunity to discuss multilateral matters of mutual concern such as the slow pace of reform of important international institutions such as the UNSC. Deputy Minister then proceeded to Turkmenistan from 14 to 15 November 2016. The Deputy Minister met with her Turkmen counterpart and also paid a courtesy call on the Minister of Foreign Affairs. The visit to Turkmenistan was used to identify possible areas of cooperation in the energy, mining and agricultural sectors. 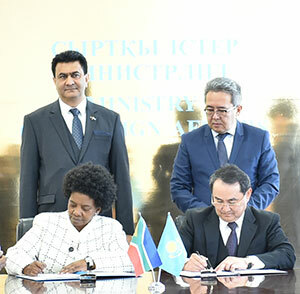 South Africa enjoys cordial relations with both Kazakhstan and Turkmenistan as all three are developing economies and share many similar views in the multilateral fora. The South African Government believes that the consolidation of its bilateral relations with these two Central Asian countries will assist to achieve some if its main objectives to address the triple challenges of poverty, unemployment and inequality. The respective bilateral consultations provided an opportunity to assess and review the status of our bilateral relations and also agree on new areas of potential cooperation. The Deputy Minister of International Relations and Cooperation, Luwellyn Landers, undertook a Working Visit to the Czech Republic, the Republic of Hungary and the Republic of Poland, respectively, from 14 to 17 November 2016 for bilateral political consultations. The visit was mainly aimed at strengthening bilateral political and economic relations as South Africa views the region as a potential partner in addressing the country’s national priorities and cooperation in, among others, the fields of science and technology, education, agriculture and trade. This year marks a very important milestone in our relations as we celebrate 25 years since the establishment of diplomatic relations between South Africa and the three countries. Relations between South Africa and Czech Republic are governed by the South Africa-Czech Republic's Joint Committee for Economic Cooperation, which was signed in Pretoria on 12 December 2016, to promote and deepen bilateral trade and economic cooperation between the two countries. Bilateral trade between the two countries currently stands at R9,6 billion, ranking the Czech Republic as a significant trading partner for South Africa. Bilateral mechanisms governing formal relations between South Africa and the Czech Republic include a Declaration of Intent on Political Dialogue, signed in July 2000. Bilateral relations between South Africa and Hungary are currently governed through Annual Political Consultations and a Joint Economic Committee, signed in 1993. Bilateral trade between South Africa and all three Central European countries has grown considerably since formal diplomatic relations were established. South Africa’s combined total exports in 2015 to the Czech Republic, Hungary and Poland amounted to R4,2 billion while South African imports from the three countries combined amounted to R19,2 billion, a deficit of R15 billion. The strategic partnership envisages cooperation on the global scene and in international organisations, with the aim of defining a common position and defending the mutual interests of the two parties on global issues. The Fourth EU-South Africa Structured Dialogue Forum on Human Rights took place on Wednesday, 9 November 2016, in Brussels. As strategic partners, both parties share a commitment to democracy, human rights, good governance, tolerance and respect for the rule of law. The dialogue was opened by the EU Special Representative for Human Rights, Stavros Lambrinidis, and was co-chaired by Birgitte Markussen, Deputy Managing Director, Africa Department, European External Action Service and Ambassador Ebrahim Mohamed Saley, Deputy Director-General, Global Governance and Continental Agenda, Department of International Relations and Cooperation. In terms of multilateral issues, both sides discussed country and thematic resolutions, in particular issues related to discrimination against persons based on sexual orientation and gender identity, empowerment of women, transnational corporations and other business enterprises, business and human rights, human rights defenders, the right to development and the realisation of economic, social and cultural rights globally, the promotion and protection of children's rights, as well as private military and security companies and defending access to justice and protecting victims. At the domestic level, the discussions focussed on the elimination of racism, racial discrimination, xenophobia and related intolerance, as well as policing and human rights. The EU and South Africa valued this Human Rights Dialogue as a platform to listen and understand each other's concerns and positions and to build bridges, particularly on points of disagreement. Both sides welcomed, as one of the political deliverables of last year's Human Rights Dialogue, the high-level panel event in Geneva that the EU and South Africa organised together with Denmark on "Why we should Invest in Rehabilitating Victims of Torture". Both sides agreed to explore ways they could do more together in the future to promote priority issues of common interest and expand cooperation, including follow up to the torture event and on migrant children. Both parties shared information on current developments and discussions on ways to improve the effectiveness and efficiency of the Human Rights Council. The Global Outsourcing Association (GSA) is the industry association and professional body for the global sourcing industry. The Minister of Trade and Industry, Rob Davies, has hailed South Africa’s win of the GSA’s annual Outsourcing Destination of the Year Award, saying it cements the country’s investment position. “This award cements South Africa's investment position and further presents a value proposition which is underpinned by high-quality standards, relevant skills, the potential to deliver complex and non-complex processes and cost-savings which enhance our proposition for Business Process Services (BPS) globally,” said Minister Davies on Sunday, 13 November. This, as South Africa won at the award ceremony held in the United Kingdom, following a rigorous assessment process. The GSA also serves to share best practice, trends and connections across the globe and to bring the global community together in a wholly interactive manner for the first time. The ceremony brought together more than 350 members of the leading outsourcing service providers, advisers and buyers. Minister Davies said South Africa offered value beyond a cost arbitrage with investors reporting positive operational effectiveness and revenue impacts. Since 2012, the South African offshore BPS market has experienced compounded average growth of 25% year-on-year and now boasts around 30 000 offshore jobs, with the United Kingdom (UK) being the leading buyer of South African BPS services, followed by Australia and the United States of America (USA) which is rapidly growing. The BPS sector is one of the Department of Trade and Industry’s priority sectors, attracting investments from English-speaking markets in particular the UK, Australia and recently from the USA. Since 2014, the sector has been growing approximately 26% year-on-year. South Africa has demonstrated service capabilities across various verticals like telecommunications, utilities, IT, retail and financial services. Minister Gigaba said these young people should have a broad and extensive understanding of the concept of social cohesion, in particular the South African context. The Minister of Home Affairs, Malusi Gigaba, recently announced that the department had partnered with the International Organisation for Migration (IOM) to run an essay and multimedia competition for young people at institutions of higher learning. The essay competition is open to young people between the ages of 18 and 30. According to Minister Gigaba, the participants will be required to write a 1 000-word essay or present a multimedia project on the topic: ‘Why Social Cohesion is Important in Our Country”. The competition will be held under the theme: “Migrants’ Contribution to our Communities, Country and Continent”. Minister Gigaba said they believed that the competition would further advance government’s vision as enshrined in the National Development Plan as a cultural activity where it was boldly stated that cultural activities and art could also play a major role in facilitating the sharing of common spaces. “In addition, art can foster values and facilitate dialogue and healing, thus restoring pride among African, Indian and coloured South Africans. The country must support and encourage the production of art work and stories that facilitate healing, nation-building and dialogue. “Fittingly, together with the IOM, we underpin our belief in how we envision that the occasion will reflect the aims of the African Union in its visionary document Agenda 2063, which details the African continent’s development trajectory for the next 50 years,” he said. Last month, the department announced the opening of the nomination process for the 2016 Mkhaya Migrants Awards. The department launched the Mkhaya Migrants Awards on 10 May 2015. He explained that the Mkhaya Migrant Awards were aimed at building a unified, inclusive and caring South African society and recognising outstanding migrants residing in South Africa who made an immense contribution to South Africa’s development in their various fields of expertise. Last year’s winners included: William Okpara, Orlando Pirates legend and Nigerian goalkeeping hero in the sport category, and Sephaku Cement in the business category. 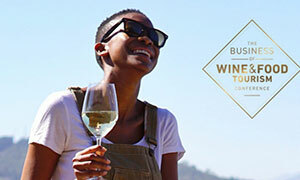 MINISTER HANEKOM BACKS SA WINE TOURISM STRATEGY'S "ENORMOUS POTENTIAL"
An exciting year lies ahead as South Africa's wine industry looks to adopt a more collaborative approach to the promotion of the country's unique wine tourism offering. 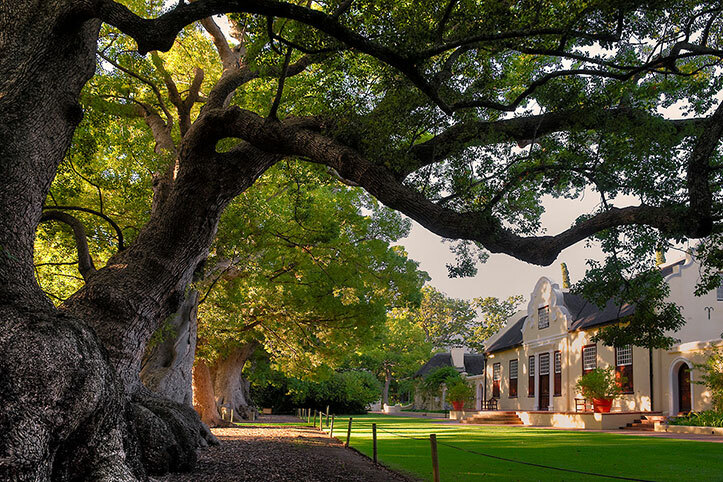 A new national wine tourism strategy is a step closer to being realised after the Business of Food and Wine Tourism Conference, which was recently held at Spier Wine Estate in Stellenbosch. The Minister of Tourism, Derek Hanekom, has come out in support of the plan, saying the development of a wine tourism strategy will see the "industry unite behind a common vision, brand and aligned plan to take wine tourism forward". "Our immediate priorities are to get buy-in from role players and finalise the implementation plan with input from and alignment with government,” says Destinate’s Mariette du Toit-Helmbold, who was commissioned to develop an industry-led wine tourism plan, as part of the Wine Industry Strategic Exercise, an initiative set to promote a robust, adaptable and competitive industry. VinPro, the organisation that represents South African wine cellars and wine grape producers, has provided funding to conclude the strategy and implementation plan and enable a number of interventions within the next 12 months. On the agenda is a wine tourism marketing kit to train the trade and hospitality industry as well as the establishment of a neutral wine tourism digital marketing platform to showcase all the wine regions and routes in South Africa, including the Northern Cape and the Garden Route. The conference created a platform to appraise industry players, investors and private-sector organisations and corporates in the mineral resource industry of the current opportunities and facilities available with regard to capital raising and funding requirements. The Deputy Minister of Mineral Resources, Godfrey Oliphant, addressed delegates at the 11th Asia-Pacific Mineral Resource Exhibition and Conference in Kuala Lumpur, Malaysia, on 10 November 2016. Deputy Minister Oliphant aligned his speech with the theme “Capital Raising, Funding and Investment in the Mining Sector”. “Sustainable capital raising and funding of the mining sector requires a well-developed financial market with the full range of financial instruments,” Deputy Minister Oliphant noted. The Deputy Minister added that as the commodity cycle gradually turned, it was important for stakeholders in the mining industry to reflect on the best ways of designing a funding framework that would strike a healthy balance between competing demands on the mining projects. During his visit, Deputy Minister Oliphant and the South African High Commissioner to Malaysia, Samkelisiwe Isabel Mhlanga, engaged with his Malaysian counterpart, the Deputy Minister of Natural Resources and Environment, Datuk Hamim Samuri, on the potential areas of cooperation in the minerals sector between the two countries. Hundreds of soldiers, military veterans and their families came together on Sunday, 13 November, to commemorate Remembrance Day in Johannesburg. The centenary of the Battle of Delville Wood was the theme of the commemoration but veterans said they were honouring all fallen soldiers. 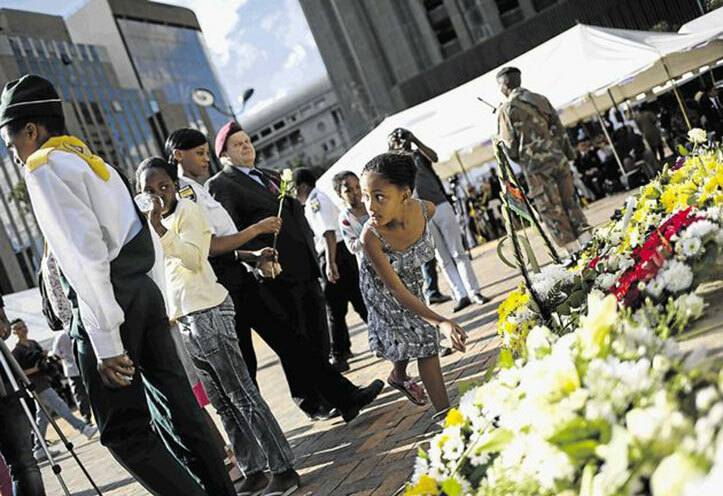 Wreaths were laid and salutes given as the South African national anthem was played. The Rev Gift Moerane, who officiated, said: "We are here to remember what happened to our brothers and sisters. Today, I take pride in being a South African, to hear about our army going around the world to reclaim peace. "There is no reason for us to go to war. We should look at how we can bring peace to the world." Delville Wood was the scene of the bloodiest fighting for South African troops during World War 1. The First SA Infantry Brigade suffered catastrophic losses. Of the brigade's 3 433 soldiers who went into battle that day, only 750 emerged alive six days later. Rev Moerane used the commemoration to call for peace in the world's war-torn regions, including the Middle East, Pakistan, the Democratic Republic of Congo and South Africa. "All that has happened in the name of injustices of the past cannot stand. The blood that has been spilled is enough." Brian Smith, a retired army officer and member of the SA Legion, said he wanted to raise awareness of some of the worst South African military tragedies, including the sinking of the Mendi troop ship during World War 1. "It was one of the biggest tragedies but so few people know about it," he said. The Department of Environmental Affairs says its Working for Wetlands Programme managed to rehabilitate 123 wetlands in South Africa over the past financial year, between 2015 and 2016. This, after they invested R1 billion into the rehabilitation of a total of 1 200 wetlands around South Africa since the inception of the programme, which started in 2000. 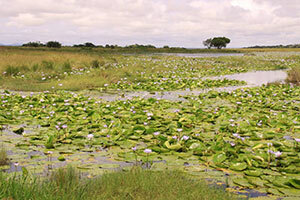 Wetlands are among the most threatened aquatic habitats in South Africa and the whole of southern Africa. Due to bad land-management practices such as effluent disposal, overgrazing, unsustainable crop production, pollution, urban development and erosion, many of these most valuable resources on the continent are struggling to flourish as they should. South Africa alone is home to no fewer than 17 Ramsar sites. The term refers to a wetland site of international importance under the Ramsar Convention. The Convention on Wetlands, known as the Ramsar Convention, is an intergovernmental environmental treaty established in 1971 by the United Nations Educational, Scientific and Cultural Organisation and coming into force in 1975. In the whole of southern Africa, wetlands play perhaps the most crucial role in maintaining our rich natural resources of flora and fauna. Places like the Okavango Delta, Etosha Pan, Lake Oponono and Cuvelai in Namibia, the Bangweulu Swamps of Zambia and South Africa's very own iSimangaliso Wetland serve as prime examples. South Africans should be more hopeful about the future because their lives have improved over the past 22 years, the Institute of Race Relations said recently. It was important for South Africans not to lose sight of the gains the country had made, "lest we become too pessimistic and cynical about our future and fail to build on the solid foundations that have been laid over the past two decades", research analyst Jon Bonstock told reporters in Johannesburg. 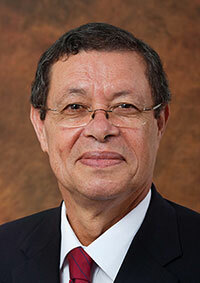 He was speaking at the release of a report, titled Life in South Africa: Reasons for Hope. Its findings include that the country’s gross domestic product (GDP) has increased 33% over the years. The "real" GDP, which did not consider the inflation during the period, was around R1,6 trillion in 1994 compared to around R3 trillion in 2015. "If you take inflation into account, it is not going to be accurate; taking it out shows you what is really going on in people’s lives. "People are much better off than where they were in 1994. This is encouraging," Bonstock said. In 1994, the average disposable income per head of households was R23 686, but had increased to R33 660 in 2015. Employment among black South Africans had doubled between 1994 and 2015. In 1994, 4,9 million black people were employed. This increased to 11,6 million by 2015. There had been a significant increase in people living in formal housing structures over the past 22 years, from 5,7 million in 1996 to 13,4 million in 2016. The number of people in informal dwellings had also risen, but not as significantly, from 1,4 million to 2,1 million over the same period. Access to piped water, flush or chemical lavatories, use of electricity for lighting, cooking and heating all increased, but at different levels, Bonstock said. According to the Living Standards Measure (LSM), 38,8% of South Africans had been living between categories 1 to 3, which Bonstock described as "on the margins of society". By 2015, only 10% of South Africans were still within that category. The middle class had grown significantly. The percentage of the population in LSM categories 4 to 7 increased from 44,9% in 2001, to 67% in 2015. Those in the highest category – LSM 8 and 10 – increased from 16,3% of the population in 2001, to 25% in 2015. The number of new HIV infections has halved. Levels of extreme poverty had declined across all racial groups. All racial groups had benefited from the country’s economic growth, not only black people. The number of black children who passed matric increased from 259 in 1955 to 369 903 in 2015. The headcount of those enrolling at universities rose from 211 756 in 1985 to 807 663 in 2015. In the health sector, the number of new HIV infections decreased from 646 806 in 1999 to 321 497 in 2015. This was encouraging, Bonstock said. Bonstock said the number of murders committed per 100 000 people fell from 68 during the 1994/95 period, to 34 in 2015/16. 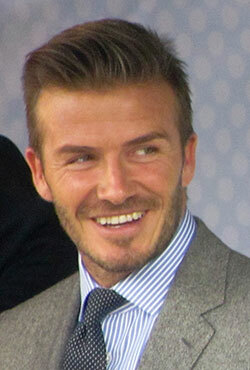 Football star David Beckham was in Johannesburg recently to share some “intellectual capital”. 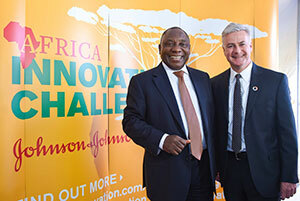 He was one of the speakers at the Discovery Leadership Summit, held in Sandton, on Friday, 11 November. “I’m pleased to be attending the Discovery Leadership Summit‚” said Beckham. The summit was described as “a flagship‚ global thought-leadership event that enables the sharing of intellectual capital to contribute to leadership in business‚ government and civil society”. Joining Beckham was former General Electric CEO Jack Welch‚ Huffington Post founder Arianna Huffington‚ Harvard historian and economist Niall Ferguson‚ Financial Times columnist Simon Kuper and Discovery founder and CEO Adrian Gore. The Global Citizen Award is bestowed annually on an inspirational global citizen, who has made an extraordinary contribution towards improving the global community. 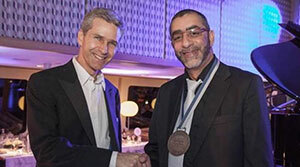 Brand South Africa has congratulated Gift of the Givers foundation founder, Imtiaz Sooliman, who was awarded the Global Citizen Award by the international advisory firm Henley & Partners. Brand South Africa CEO, Kingsley Makhubela, welcomed the announcement, saying Sooliman was indeed a worthy recipient of this international honour. Makhubela said the work that Gift of the Givers did positioned the South African nation brand as a good international citizen, while citizens flew the flag high by giving so selflessly to people in need. The Global Citizen Award consists of a specially made commemorative medal, an award certificate signed by the President of the Award Committee and USD50 000 monetary prize, USD 25 000 of which is donated to the United Nations High Commissioner for Refugees to support the global refugee cause. The South African tourism and hospitality industries continue to make saves for responsible and sustainable tourism worldwide, as the recent AfriSam-SAIA Award for Sustainable Architecture points out. This year, Kogelberg Nature Reserve’s Oudebosch camp, operated by CapeNature in the Western Cape, has been awarded the laurels for their incredible structure in their UNESCO World Heritage Site setting. 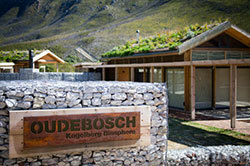 Oudebosch, which consists of five self-catering cabins, an eco-pool and function venue, has already been recognised as an international benchmark for sustainable development. Just over an hour’s drive from Cape Town, the Oudebosch eco-cabins at Kogelberg are CapeNature’s flagship eco-tourism product, sustainably made, in the heart of one of the most biodiverse areas in the world. With large living areas, two bedrooms, and spacious patios, the cabins at Kogelberg are ideal for a family getaway. Western Cape vineyard Vergelegen was among wineries celebrated at the 2017 international “Best Of Wine Tourism” awards ceremony at the Sao Bento da Vitoria Monastery in Porto, Portugal. Encompassing the so-called “old” and “new” worlds of wine, the competition is designed to reward wineries that have distinguished themselves in terms of the excellence of their facilities in various categories, from arts and culture to sustainable wine tourism, and delivering quality experiences to the public. The international winners are chosen from those selected as the “best of” from each Great Wine Capital. There were 359 entrants and 59 local award winners this year. The awards aim to encourage travel, education and business exchanges between the prestigious wine regions, which include Bilbao-Rioja in Spain, Bordeaux in France, Germany's Rheinhessen region, Mendoza in Argentina, Porto in Portugal, the Napa Valley in San Francisco, Casablanca Valley in Valparaiso, Chile, and the Cape Wineleands. Other 2017 International Best of Wine Tourism award winners were Seppeltsfield in Australia; Bodegas y Vinedos de Paganos in Bilbao; Chateau Marquis de Terme in Bordeaux; Rheinhessenvinothek in Rheinhessen; Zuccardi in Mendoza; Quinta do Bomfim in Porto; Trefethen Family Vineyards in the Napa Valley; and Portofino Restaurant in Valparaiso. Airlink has confirmed it will be extending its Lowveld “Lodge Link” safari lodge network in partnership with andBeyond. The airline says its extensive network will provide daily connections between a number of andBeyond properties in Timbavati, Sabi Sand and Phinda Private Game Reserve. The Lodge Network will also provide direct connections with Airlink’s regional services from Nelspruit Kruger Mpumalanga International Airport (KMIA) to Mozambique and Livingstone in Zambia, which provides access to andBeyond Matetsi Private Game Reserve. 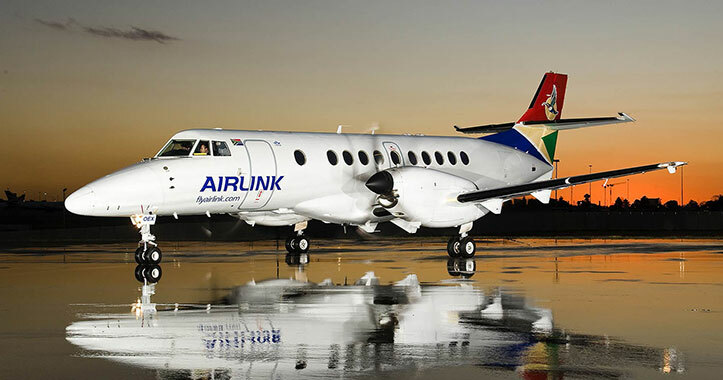 Seamless connections can be made from Cape Town and Johannesburg on Airlink to Nelspruit KMIA or Skukuza Airport with a short apron transfer connecting guests onwards to Airlink’s Lodge Link service direct to their safari destination, minimising lengthy road transfers. Added to this, the airline says the IATA booking codes will be available for travel agents to facilitate bookings from New York to Ngala and Paris, giving added flexibility for multi-sector international travellers to include Cape Town, Kruger, Victoria Falls and the Okavango Delta. The flights were made available for booking from 7 November 2016 for operations commencing 2 June 2017, which due to the extensive advance booking window of African safaris, will allow sufficient time for planning of itineraries and packages. On Friday, 11 November, South Africa’s iconic Table Mountain celebrated its fifth anniversary since it was announced as one of the 7 Natural Wonders of Nature on 11/11/11, a title which has boosted tourism numbers to the legendary landmark, benefiting both the Mother City and the country. “It took millions of votes and several years to achieve this recognition,” said Table Mountain Cableway. 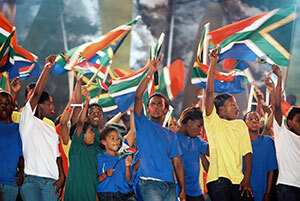 The campaign had begun back in 2007 and two years later Table Mountain was announced as one of the 261 natural sites from over 150 countries that made it through to the second round of global voting. By the start of 2011, Table Mountain was in the bottom 14 of the shortlisted 28, with most votes being cast outside of South Africa. Attention then switched to getting the locals involved. Table Mountain Ambassadors rallied the support of ordinary South Africans, as well as celebrities and politicians (including three Nobel Prize winners). By the end of 2011, when crowds gathered at the V&A Waterfront for the announcement, Table Mountain had made it … and was named one of the New7Wonders of Nature! “In total, 500 million votes were cast during the entire New7Wonders campaign,” says Table Mountain Cableway. It was bound to be a great month for Trevor Noah in October. With the United States election providing more than enough content, Trevor was on top form. 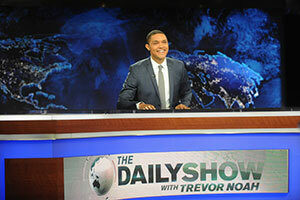 October was The Daily Show's most-watched month ever among total viewers. The show reached a weekly, multi-platform audience of 8,6 million viewers, according to a Nielsen report. Proteas youngsters Kagiso Rabada and Quinton de Kock have moved up to career-high Test player rankings following the conclusion of the Perth Test on Monday, 7 November. South Africa romped to a 177-run victory over Australia in the first Test, courtesy of a top team performance and in particular from Rabada and De Kock. Rabada has jumped 10 places to 20th position in the bowlers’ table following figures of 2/78 and 5/92, which later earned him the Player of the Match Award. The 21-year-old is the fourth South Africa fast bowler to feature inside the top 20 after Dale Steyn (second but ruled out of the series due to a shoulder injury), Vernon Philander (11th) and Morne Morkel (13th). Rabada now has Australia’s Nathan Lyon firmly within his sights as the 16th-ranked off-spinner is 51 points ahead. A bowler qualifies for a full rating after he has taken 100 wickets, while Rabada has claimed 36 wickets in nine tests. De Kock scored 84 and 64 for which he has been rewarded with a jump of 11 places. This has put the left-hander in 20th spot in the batting chart. The wicketkeeper-batsman has now become South Africa’s third batsman to feature inside the top 20. Hashim Amla is sixth after dropping out of the top five following a five-place slide, while AB de Villiers, who is missing the series due to an injury, is seventh. The 23-year-old de Kock looks strong to gain more points, which means he can move further up the order as he is still in the qualification period. South Africa’s national rowing coach, Roger Barrow, has been selected as one of the finalists for the prestigious 2016 World Rowing Coach of the Year Awards. Barrow has often been praised for “performing miracles” – at this year’s Olympic Games in Rio, Brazil, he was instrumental in getting five South African boats into the finals, an unprecedented feat in South African rowing history. Barrow was also the rowing coach for Team South Africa at the London Olympics in 2012. 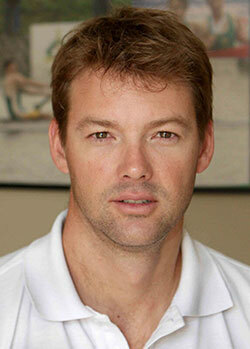 He is the only South African nominated in the World Rowing Awards, which has five categories. In his category, Barrow is one of six nominated for Coach of the Year. The others are: Alexis Besancon, France; Domenic Casey, Ireland; Noel Donaldson, New Zealand; Juergen Grobler, Great Britain; and Nikola Bralic, Croatia. Nominees were chosen from a public nomination process that then went to the World Rowing Federation, FISA Council who selected the finalists. The award winners will be announced on 2 December and the winners will then be honoured on 28 January 2017 at a gala dinner at the World Rowing Coaches Conference in Vancouver, Canada. 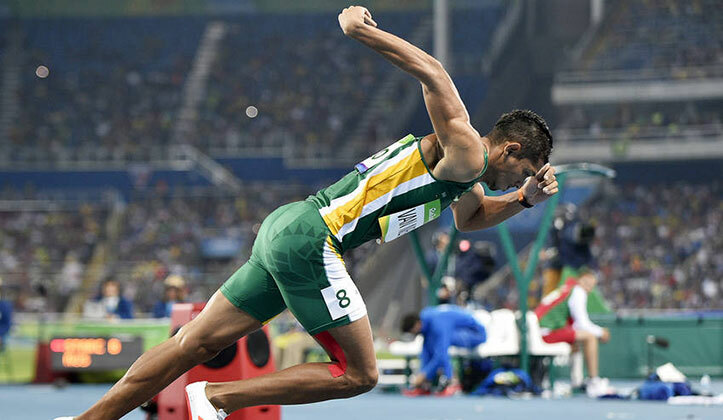 Wayde van Niekerk is in line for the most prestigious accolade in global athletics after being confirmed as one three finalists for the men's award of the 2016 IAAF Athlete of the Year. The Olympic 400m champion and world record holder was named recently alongside Jamaican Usain Bolt, who earned a third successive treble gold in the 100m, 200m and 4x100m relay at the Rio Games, and Mo Farah of Great Britain, who charged to a second straight double in the 5 000m and 10 000m events. Van Niekerk was the only man among the initial nine nominees who set an official global record this season. Middle distance specialist, Caster Semenya, missed the cut for the women's award. The Olympic 800m champion and national record holder had been recognised as one of the nominees last month. The finalists were determined by a three-way voting process which incorporated the IAAF council and members, as well as fans. "We are extremely proud of both Wayde and Caster for being nominated for these prestigious awards after their remarkable achievements this season. "We wish Wayde the best of luck, but regardless of who wins the men's award, both athletes are already winners in our eyes," said Athletics South Africa President, Aleck Skhosana. 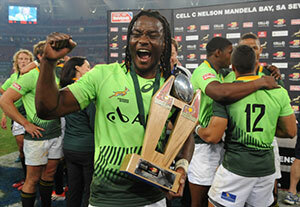 The Springbok Sevens camp received their third World Rugby honour in six years on Sunday, 13 November. Speedster Seabelo Senatla was awarded the World Rugby Sevens Player of the Year in association with HSBC for 2016. Senatla follows in the footsteps of teammates Cecil Afrika, who won the Award in 2011 as well as Werner Kok in 2015. Senatla was nominated together with France’s Veremi Vakatawa as well as Fiji Sevens captain Osea Kolinisau whom Senatla was first to embrace following the announcement. Sevens in South Africa received a further honour on the night when popular Sevens and test referee Rasta Rasivhenge was named a joint winner of the Referee of the Year Award. He shares the 2016 award with colleague and good friend, Alhambra Nievas from Spain. Former Springboks captain, Jean de Villiers, was honoured by his peers, receiving the International Rugby Players’ Association Special Merit Award.